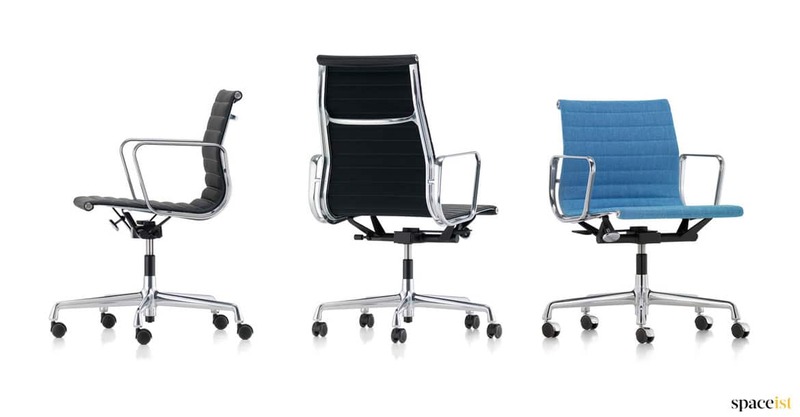 Classic authentic Eames executive office chair available in leather or hopsack upholstery. 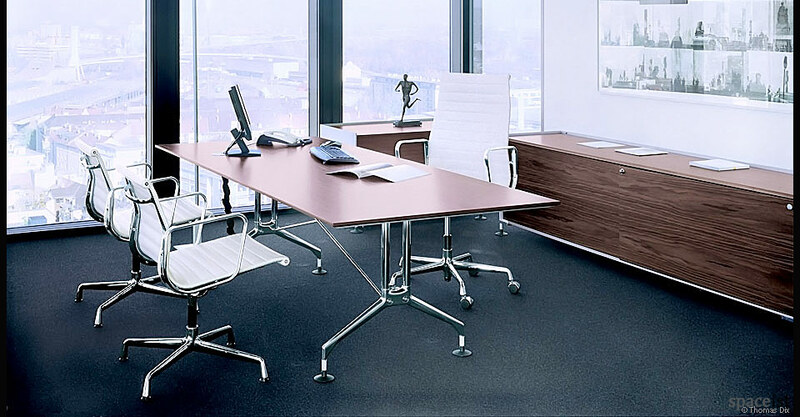 The frame is polished aluminium or bright polished chrome. 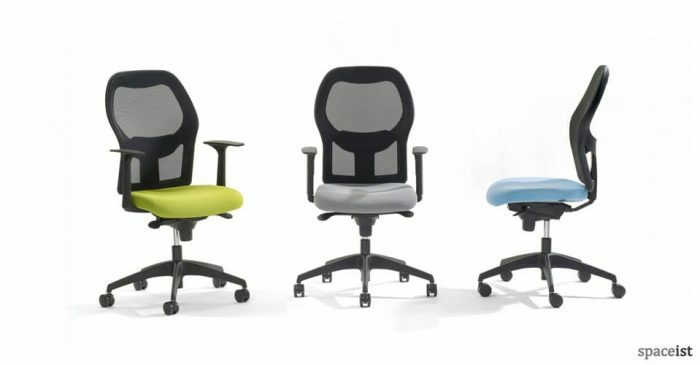 The chair is height adjustable and swivelling and can be supplied with arms or no arms. 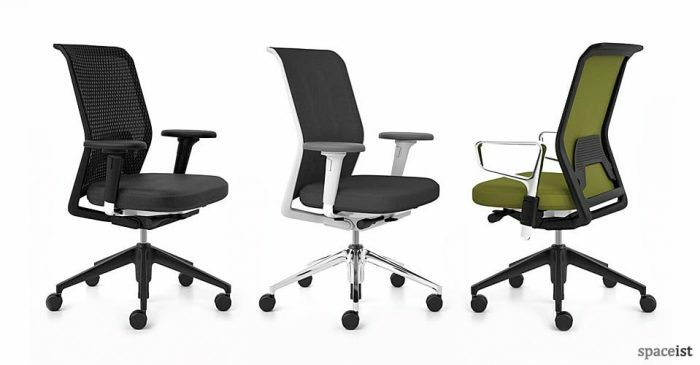 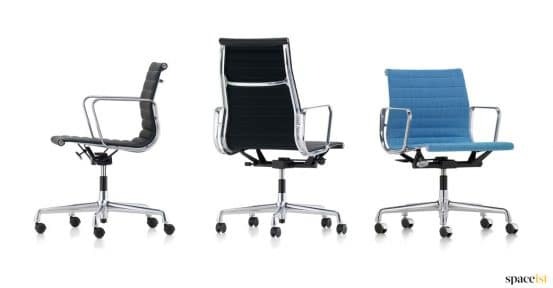 The Eames chair combines well with executive meeting chairs from the Eames aluminium range as shown. 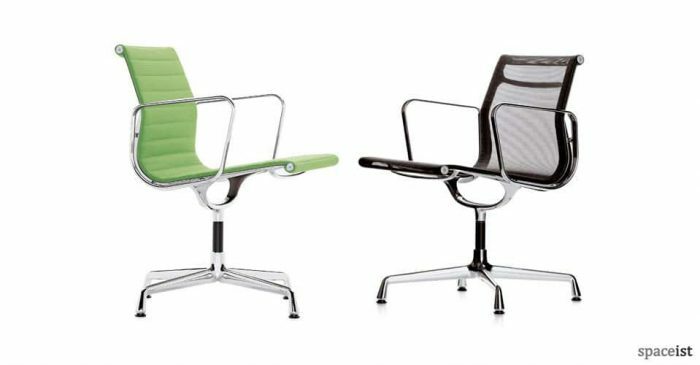 The Eames office chair is manufactured to the highest quality and is a design classic of lasting value.